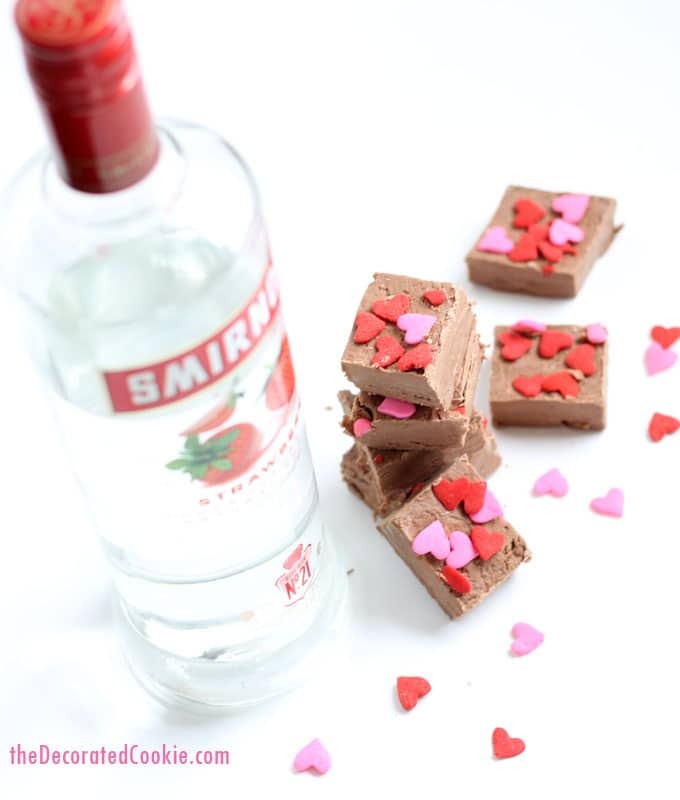 3-ingredient Valentine’s Day boozy fudge with dark chocolate and strawberry vodka is the best thing ever in the universe. 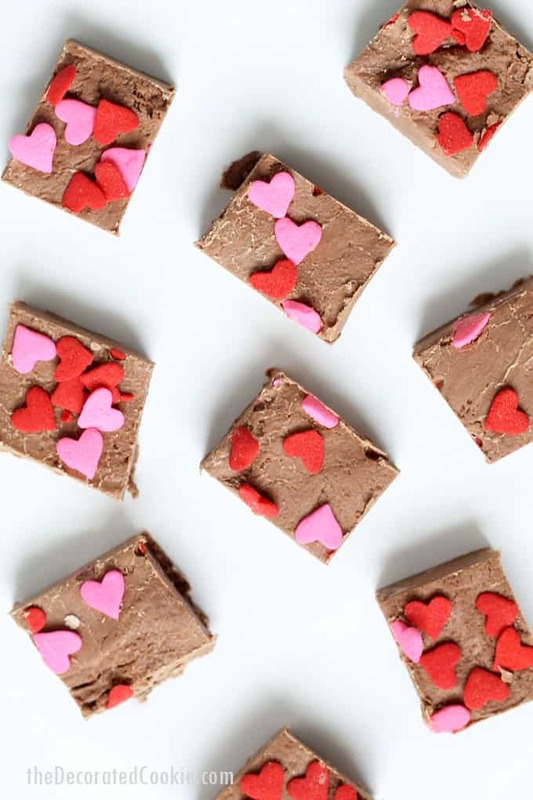 I’m not overstating when I say this Valentine’s Day boozy fudge is the best thing ever in the universe. Forget jewelry and boring boxes of chocolate, this is the best gift of all. 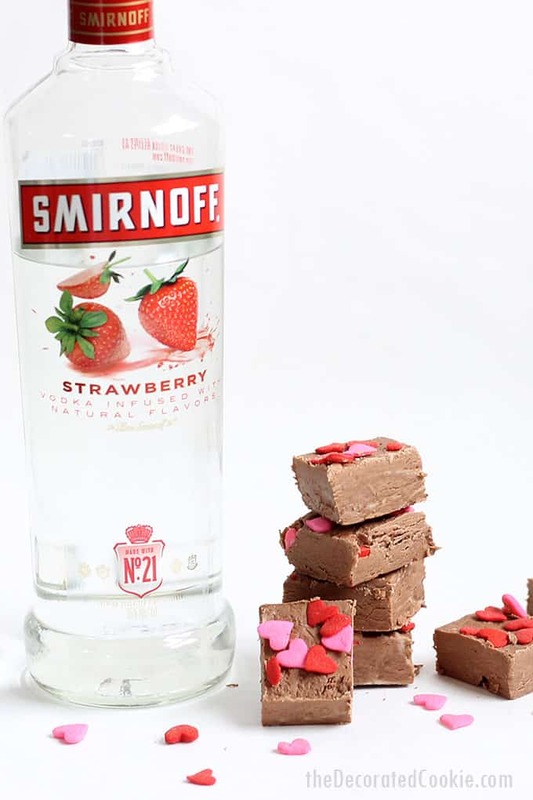 Dark chocolate combined with the subtle flavor of strawberry and the not-so-subtle flavor of vodka? Valentine’s Day perfection. 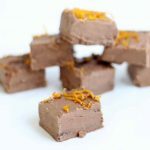 Of course, I call all my boozy fudges perfection, because they all are. 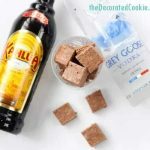 THREE ingredients, minutes to make, filled with booze. Just add my kindle or Netflix and that’s a night right there. For Valentine’s Day inspiration, I thought, of course, of chocolate covered strawberries. 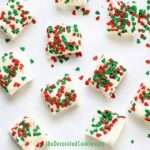 So, I mixed strawberry vodka with dark chocolate chips and powdered sugar to create this easy boozy fudge. You may use any chocolate you like, dark, semi-sweet, milk or white. Some heart sprinkles on top make it even more Valentines-y, but they are optional. Here are some video how-tos, and the full written recipe is below. 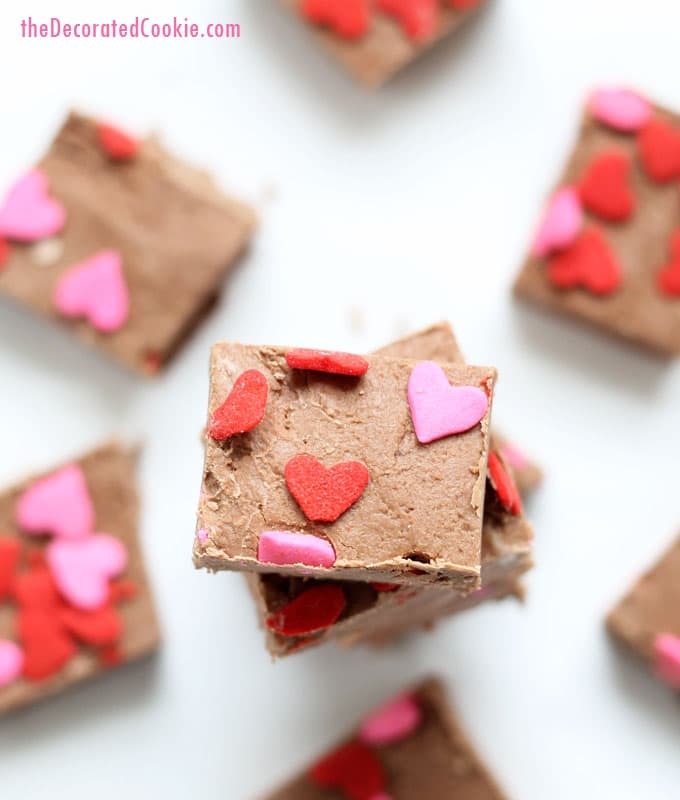 If desired, sprinkle Valentine’s Day sprinkles on top and gently press into the fudge. Let set at room temperature or in the refrigerator at least an hour. Cut into squares. 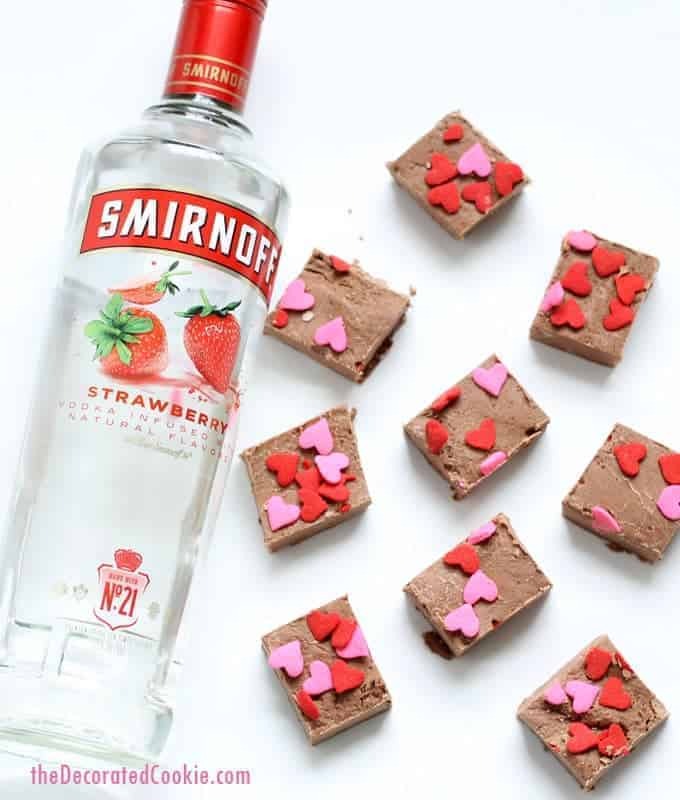 If desired, sprinkle Valentine's Day sprinkles on top and gently press into the fudge. Let set at room temperature or in the refrigerator at least an hour. Cut into squares. 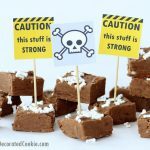 Thank you for your boozy fudge recipes. I used kirsch , dark chocolate and dried cranberries as I couldn’t get dried cherries. I also made gin and lime with white chocolate. They went down extremely well with my family and friends. Thank you Cindy! I haven’t tried Kirsch yet, that sounds awesome! The gin is one of my favorites. I made it with rasberry vodka and it came out great! Oh, so good to hear, thank you!! Raspberry and chocolate… heck yes.